4 Way DB15HD High Resolution Monitor Switch. Manual Switch With ELECTRONIC Switching. Electronic Switching Allows Ultra High Resolutions. 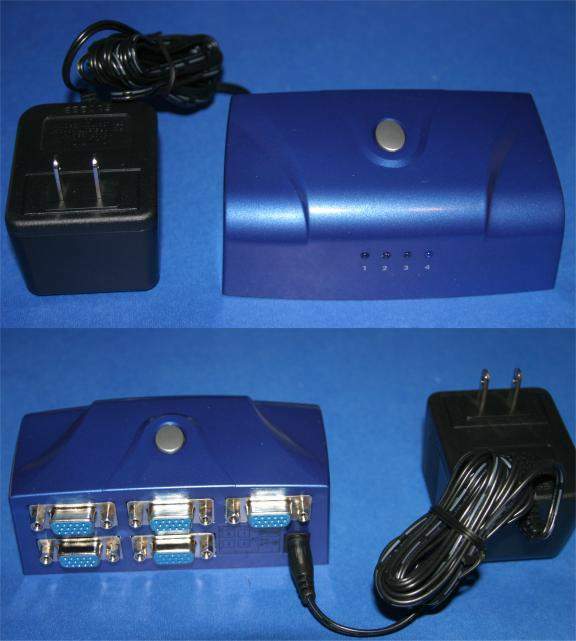 Manual VGA/SVGA "Electronic" switch box designed for HI-Resolution VGA, SVGA,XVGA or LCD monitors. Supports Multiscan and RGB Signals. Unit can be used for Component Video Switching with Breakout Cables.